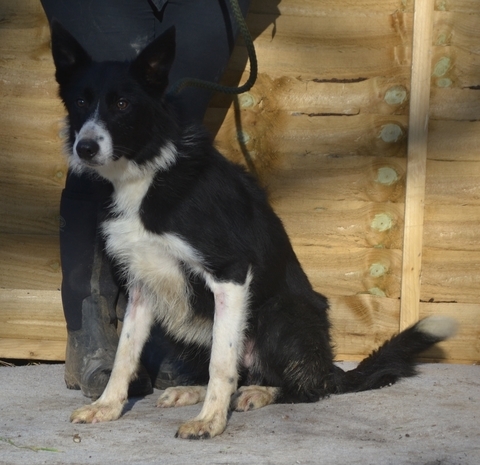 Edward is a 2 – 3 year old male Collie. He is a lovely, sweet boy. Despite leading a sheltered life he has a fabulous personality. He is a typical, Velcro type of Collie, sticks right next to you on a walk. He checks in with you every few steps. Even passing cars and other dogs being walked won’t take his attention from you. He is going to be an amazing, loyal and obedient friend to whoever is fortunate enough to adopt him. He just needs a little patience and plenty of kindness to become an amazing companion. Vaccinated, neutered, wormed, micro chipped and vet checked. For further details regarding adopting a dog from Allsorts Dog Rescue in West Sussex, please go to Allsorts website www.allsortsdogrescue.org.uk first to make sure he or she is still available and then fill out an application. Allsorts is primarily setup to find homes for unwanted, unloved and abandoned dogs in Sussex. Many dogs are strays that have been picked up by various local councils and passed onto us for re-homing. In some cases we take dogs that are 24 hours or less away from being destroyed. We ask for a donation of £205.00 to rehome our dogs.